the remaining 720 km with a “simplified” fence. daunting estimate has contributed to the delay in completing the fence. 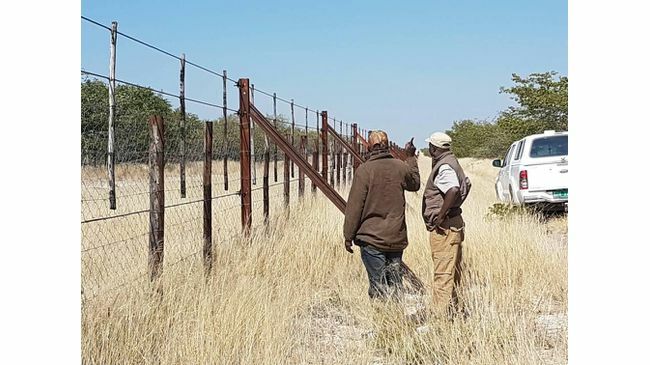 Only 120 km of the 842 km park boundary has been fenced so far. The ministry has therefore decided to simplify the specifications. specifications from all the places that were assessed. documentation and supervision of the project. conducted on the new fence design. needs to be completed to enhance conservation. have corruptly benefited from the fence project. about N$1.8 billion to complete. sections had to be redone due to a lack of maintenance. According to the report there are only 30 employees to maintain the fence.